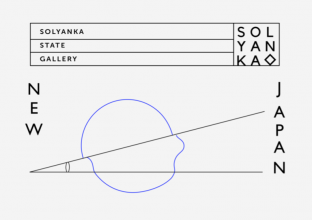 The artist duo Mai Yamashita + Naoto Kobayashi is currently participating in a group exhibition at Moscow’s Solyanka State Gallery. The exhibition titled New Japan will be held from Friday, April 27 through Thursday, June 21, 2018. There, Yamashita and Kobayashi will showcase three video pieces: infinity, 1000Waves, and telepathy. If you happen to be in Moscow, we hope you’ll visit this multimedia group exhibition by contemporary Japanese artists. Artists: Haruyuki Ishii, Takashi Makino, Soichiro Mihara, Yuko Mohri, Ryo Orikasa, Aki Sasamoto, Akihiko Taniguchi, Sayaki Sayaka Shimada, Sayata Shimada, Lyota Yagi, Jinichi Yamaoka, Yasuaki Onishi, Mai Yamashita + Naoto Kobayashi, exonemo and SHIMURAbros.